Heathrow Airport has named the airlines with the worst environmental impact. A total of 24 out of 50 carriers performed poorly on at least one measurement of noise, emissions and unscheduled night flights between January and March, according to f igures published by the west London hub. Israeli airline El Al was ranked bottom of the list, below Kuwait Airways, Middle East Airlines and Pakistan International Airlines. British Airways' short-haul flights had the best record, with Aer Lingus the runner-up and Etihad Airways in third place. It is the first time Heathrow has included airlines' emissions in its quarterly environmental ratings. The Fly Quiet and Clean Table is part of the airport's bid to become a "world leader" in having the cleanest aircraft and operations possible. 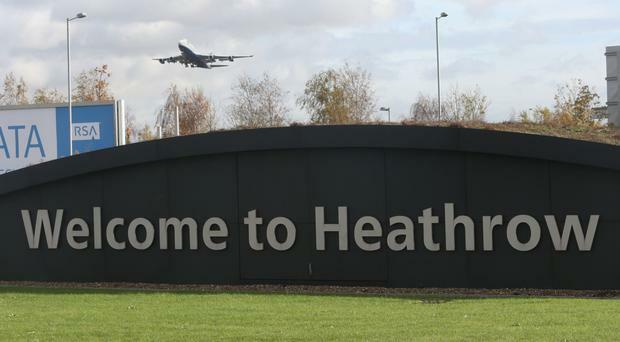 Campaigners opposed to Heathrow's planned third runway claim the environmental impact of the expansion will create major problems for residents living both nearby and under flight paths. Heathrow director of sustainability Matt Gorman said: "While the main contributor to local pollution remains road traffic, Heathrow is playing its part to improve air quality by reducing emissions from its vehicles, buildings and aircraft. "We are excited to add a whole new dimension to the league table and have another tool to help airlines to reduce their impact on air quality. "Together, we can play our part to improve our local environment and help the UK and London governments meet their air-quality targets." John Stewart, chairman of anti-expansion group HACAN, said: "This naming and shaming of airlines is a useful step in the right direction. "We will keep up the pressure on Heathrow to do all in its power to reduce the impact of noise and pollution on the communities under the flight paths."